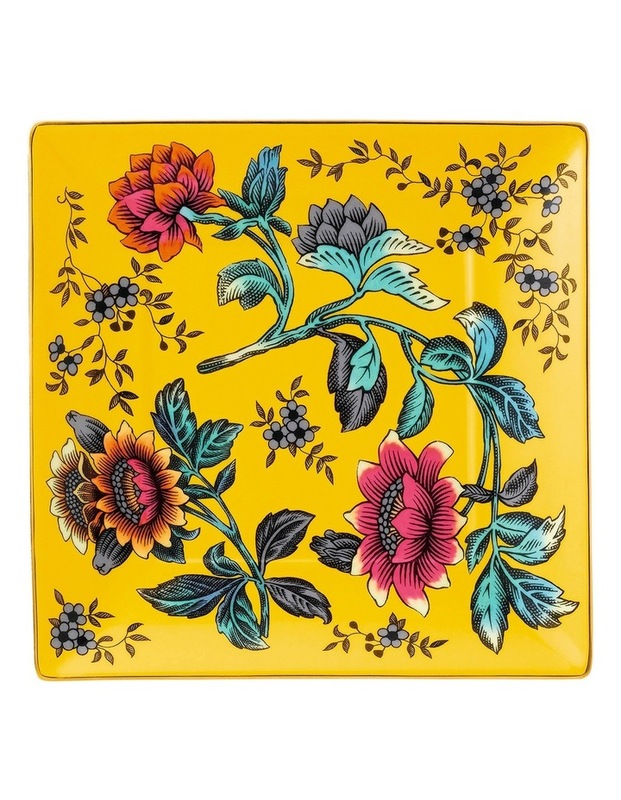 The Wonderlust Yellow Tonquin Tray 14.5cm is crafted from fine bone china and features a sunshine yellow backdrop that sets the context for stylised florals.. Presented in a Wedgwood blue gift box. Take a journey around the world with the Wonderlust collection, an eclectic mix of treasured gifts and innovative tea blends with extraordinary new flavours...all inspired by the wonders of travelling from Europe through Asia. Taking cues from culture and art in the spirit of the historic Grand Tour, you will uncover colourful, eclectic designs inspired by the exceptional beauty of exotic florals and plants from the different continents. Florals form the central theme, including Far Eastern Peonies and Chrysanthemums, and European Primroses and Apple Blossom. 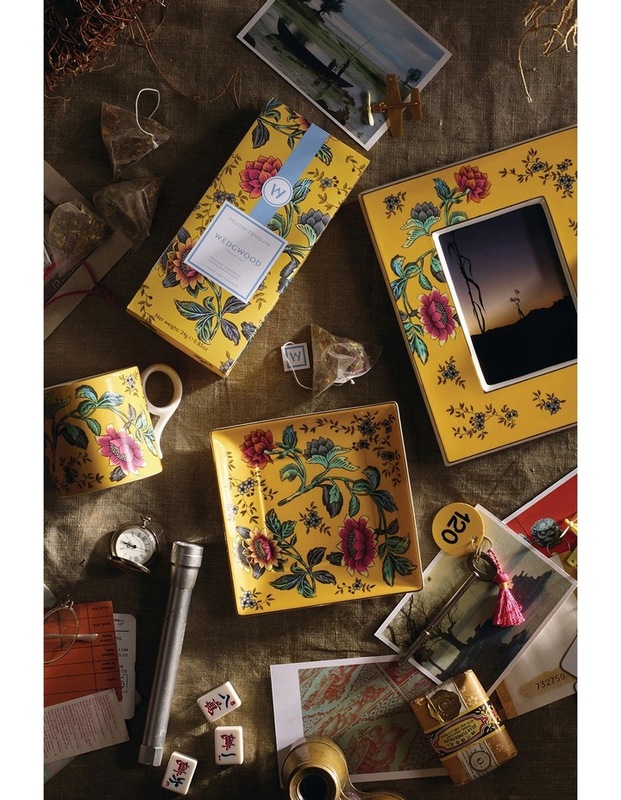 Bringing all these elements together, this unique collection includes: teacups & saucers, mugs, picture frames, gift bowls, gift trays and bespoke tea blends. 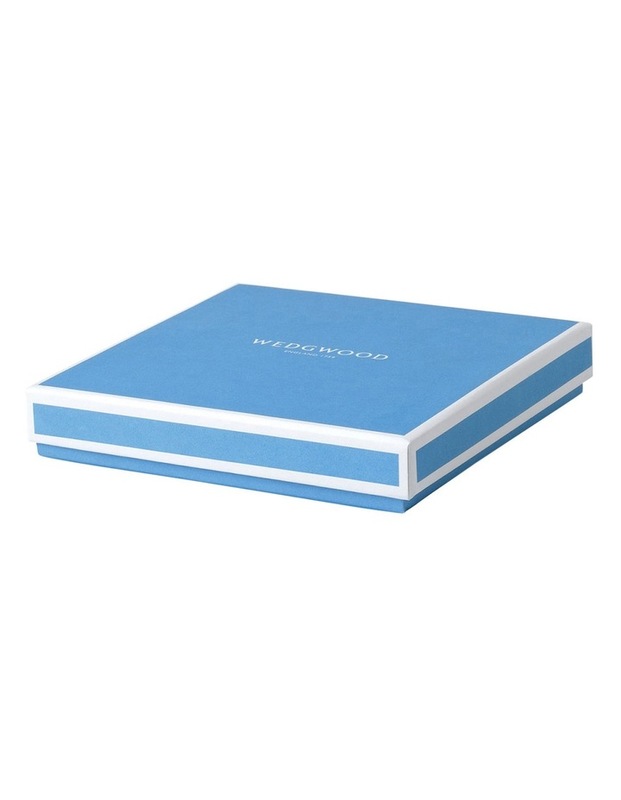 All pieces are presented in beautiful Wedgwood blue gift boxes ready to celebrate all of lifes special moments. Made from: Fine Bone China. Length: 14.7cm. Width: 14.6cm. Height: 1.7cm. Care: Dishwasher Safe. Not Microwave Safe.